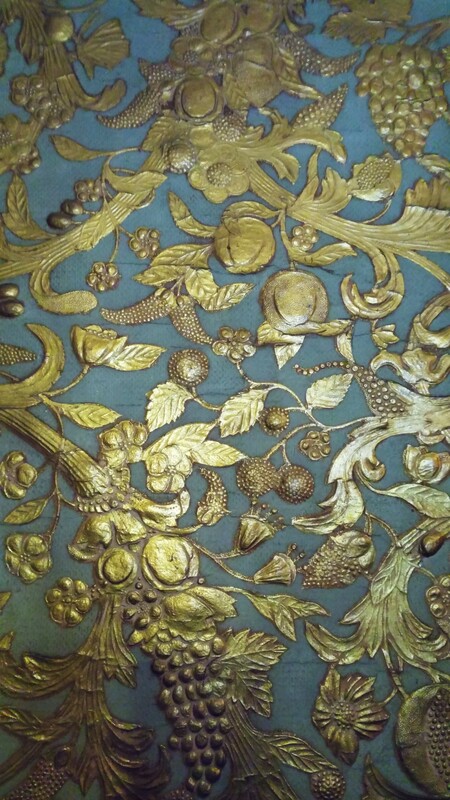 At the end of the eighteenth century, scenic wallpapers became fashionable in France and England. One of the most popular scenes was Sauvages de la Mer du Pacifique (The Savages of the South Pacific): designed in 1806 by Jean-Gabriel Charvet for the French wallpaper manufacturer Joseph Dufour, it illustrated the Voyages of Captain Cook. Dufour established a successful trade of panoramic wallpapers with America, and it was then that wall coverings began to be coveted by the wealthy of the New Continent. Some of the major nineteenth-century firms in the United States were Blanchard & Curry, Howell Brothers, Isaac Pugh, and Longstreth & Sons in Philadelphia; Christy & Constant, R. Prince, and A. Harwood in New York; and Bigelow, Hayden & Co. in Massachusetts. 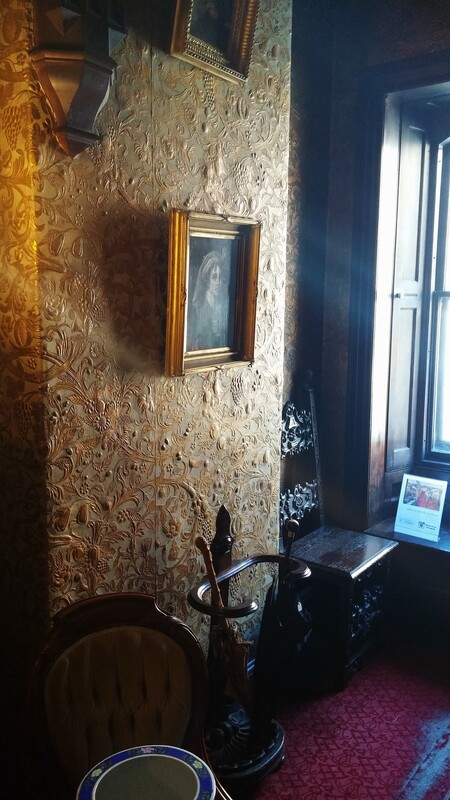 Damask and floral patterns were favored. 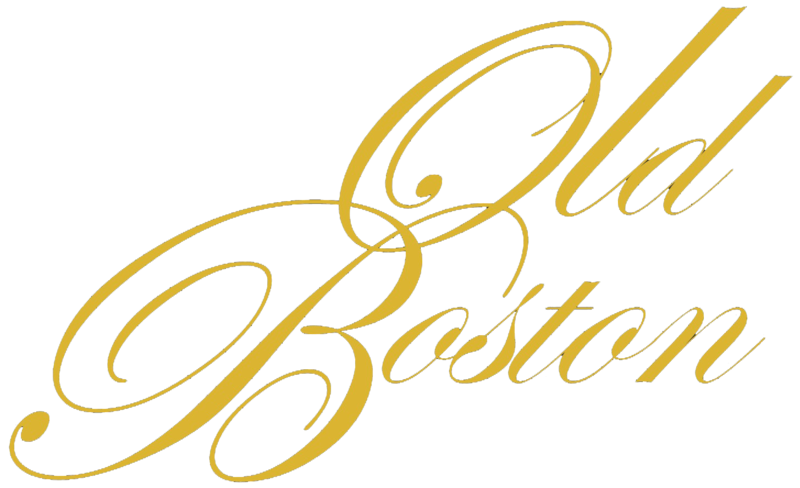 Old Boston provides its clients with a vast selection of Victorian designs and patterns, and with gorgeous ideas for modern living from nineteenth-century inspirations. 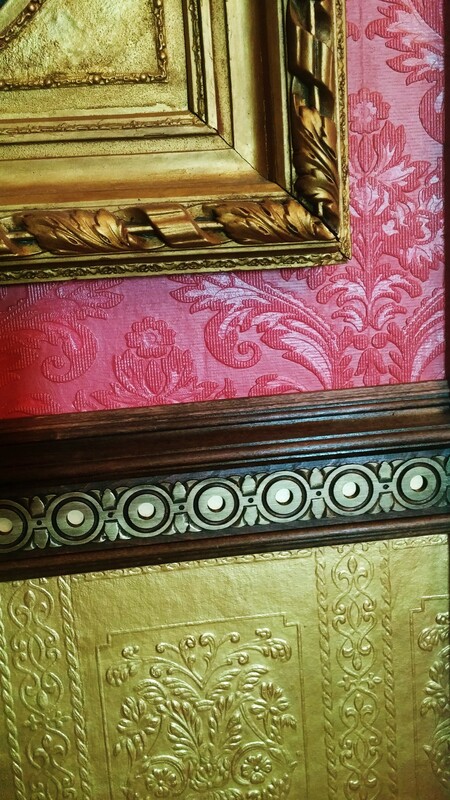 Bradbury & Bradbury is one of our favorite places to go shopping for historical wallpapers. 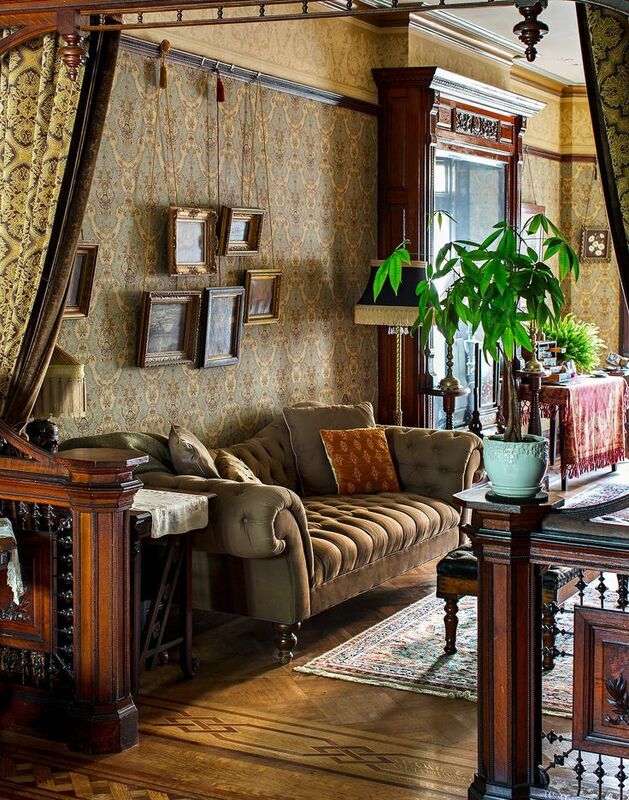 The company offers elaborate Victorian designs, such as the lovely Victorian Classicism or the eclectic Dresser Collection, but also handsome modern patterns, such as the Japanese line. 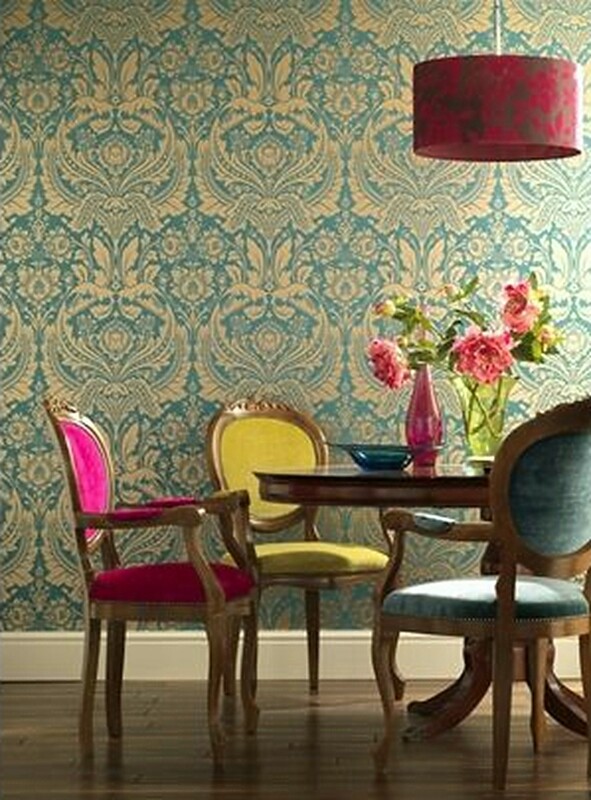 We are also thrilled to offer a generous selection of paintable, embossed Anaglypta wallpapers. They are becoming all the rage, not only because they cleverly hide wall imperfections, but also because they provide extraordinary textural effects under both natural and artificial light. 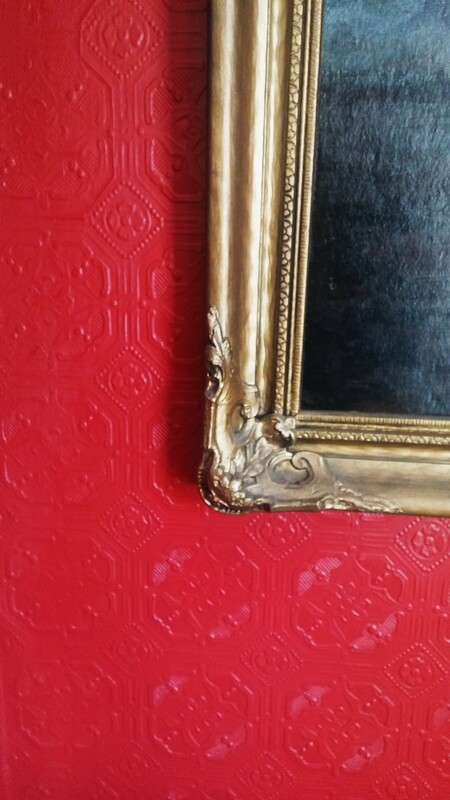 here used in the vestibule of a Victorian brownstone in Boston and painted a custom royal red.